This device is designed for distance control over four loads. It has 4 relay outputs 7 A/ 250 VAC load capacity each. List Price 39.90лв. VAT Incl. 37.91лв. VAT Incl. 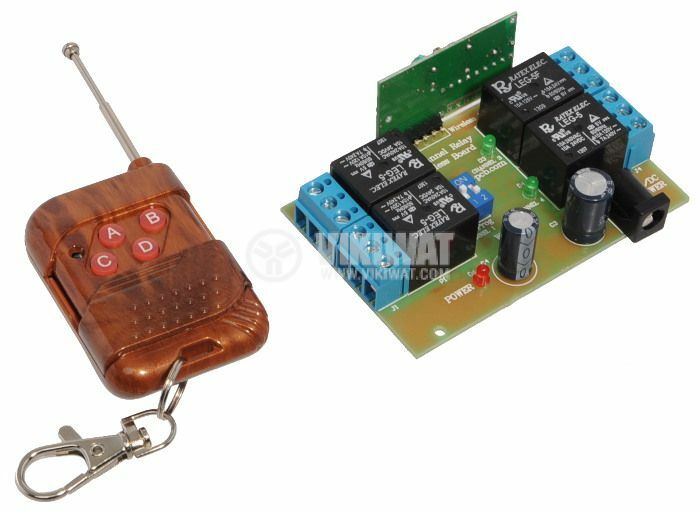 Features: Collector power supply voltage: 5 VDC Emitter power supply 12 VDC (battery) Frequency: 315 MHz Range: 50 - 100 m. ATTENTION!!! Keep the power supply polarity. In other case you will damage the collector.